A.I. – another bunch of letters that spells trouble. Artificial has become official, trying to edge out our humanity with a brand of vanity that – if we’re not vigilant – will drive us to insanity. It seems like we’re running from our true Identity because we so desperately want to belong in it. To luxuriate in it. To love it (or at least like it) and to be liked for it without faking it by mistaking it for something faulty (when others don’t validate what we think they should see). So with the letters of our aggressive alpha-bet, we hedge our bets on the fact that asserting our identity with an official vocabulary will at least give us validity and credibility. If only our ABC’s had taught us better about these special letters which stand for us when it appears the rest of the world can’t stand us … or won’t stand beside us. 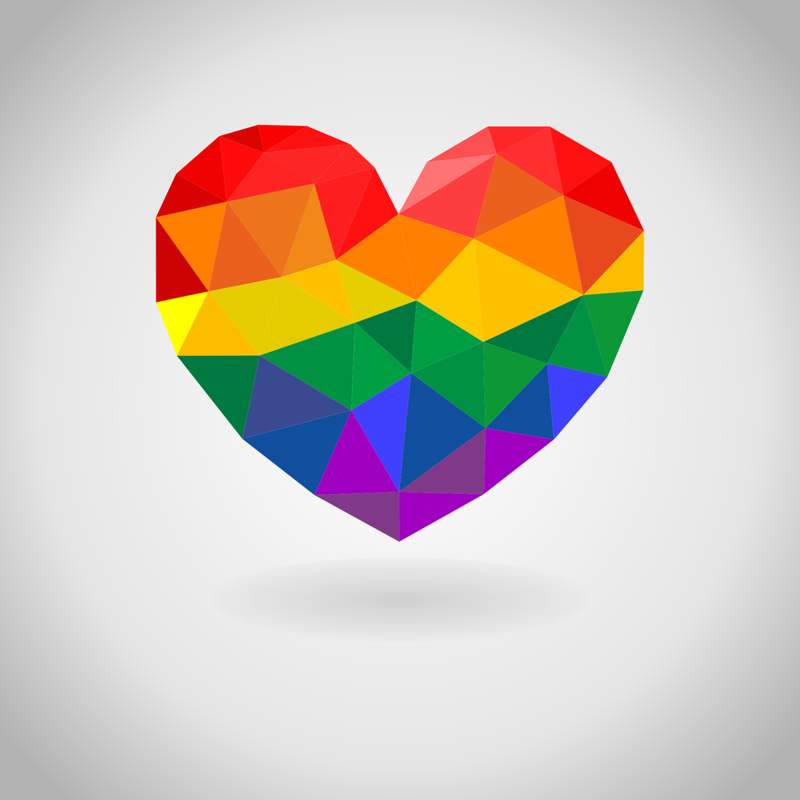 In this month of June – and the Julys and decades and eons of our lives – let these letters of LGBTQ stand for something new: Loving Giving Beings Trying, Quintessentially. Yes, let’s try quintessentially … to reword the language of doubt and teach our selves to spell from the “insight out”. Maybe Leaders of Nations should first convene their G7000 meetings with a five minute Tickle Session. Once the sidesplitting laughter has upended splitting sides, the business of competition and division can once again preside (and will it?). Since when did the Human Race erase the human and replace it with race? Since when did Ego borne of Fear become sovereign ruler of Choice; choice about how to perceive what we experience or see (uniquely gifted to the human species yet often trashed). We’ve insulated ourselves within a world of categories to offset a primal pain of rejection … a pain which lives in every single human and thrives on multiplying to insure our perpetually divided states. The misnomer is in thinking we need to sacrifice our unique individual for that of the Whole. That’s why we go ballistic on social media. Social MEdia. Because the desperate entertainment of hearing and seeing our selves vis a vis others is overriding innertainment. Life is the whole, within which there are multiple species. A symphony is the whole, within which there are multiple instrumental sounds. Flower is a whole, within which there are a gazillion varieties. We are the whole, within which there are 7.umpteen billion me’s. But when most parents themselves have never learned this magnificence – nor sufficiently integrated it – how on earth will it be imparted to their offspring … to grow internally and then exponentially? Let’s parent our planet by parenting our person, with the understanding that the gaping hole in our global soul is aching for us to make us Whole. We don’t have to love one another (yet). Just respect the differences that reflect that same range of colour living within everyone. Once we grok that maybe we can rock the planet … with a Party for Humanity where the guest list is Everybody celebrating Unity and Diversity, Community and Individuality. Now that’s televisionary: Synchronistory.